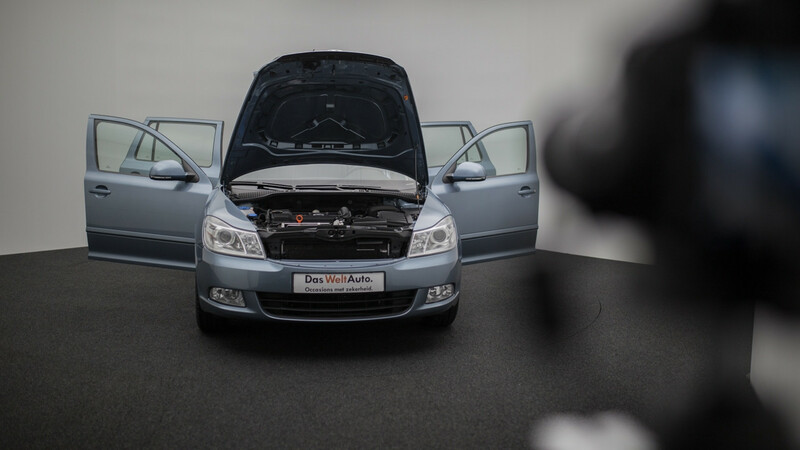 With a complete photo studio for car photography you’ll soon be taking beautiful photos of your car stock in no time. 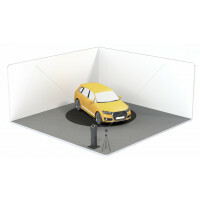 This standalone studio photo box is an enclosed room within your space. No structural modifications needed; you’re good to go right away! 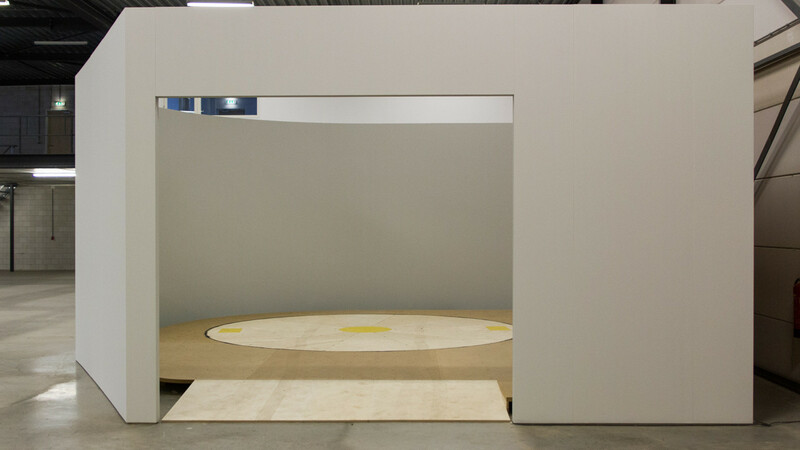 Looking for a photo studio to create beautiful 360° sliders and 3D spinners? 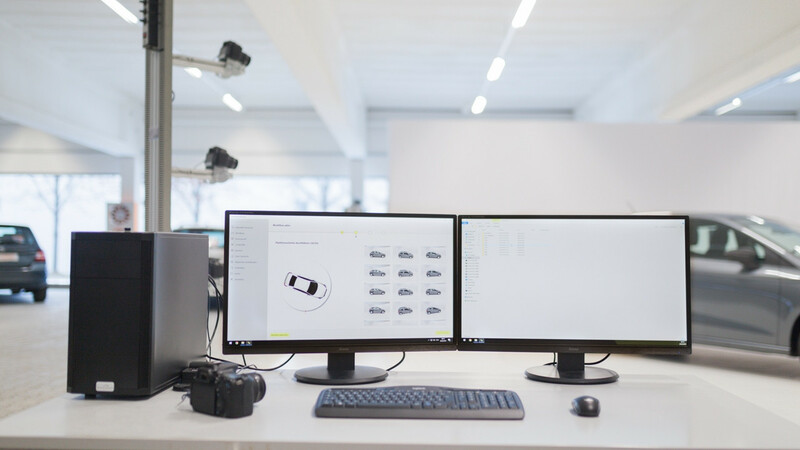 By the name of Photo-Motion, we offer a complete studio box for car photography (turntable, luminous ceiling & cameras) with innovative Photo-Motion software! Want to build your photo space’s interior yourself? 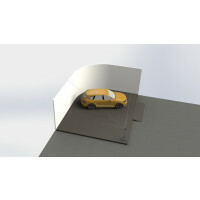 Check out our basic car turntable or our turntable with building accessories for a practical photo corner. 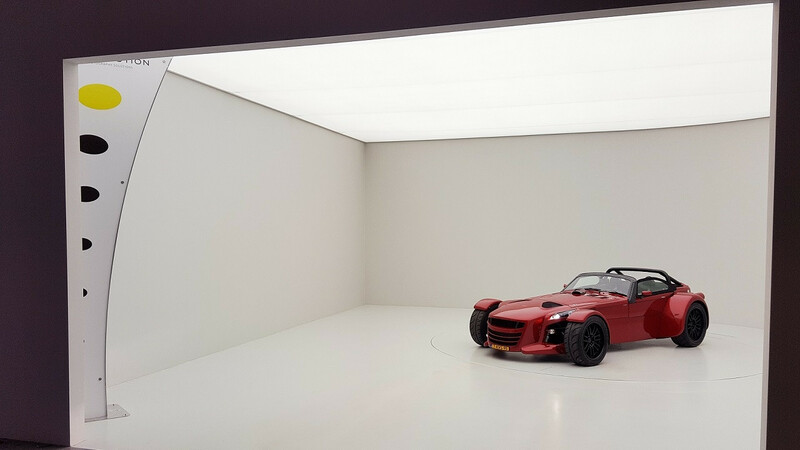 Pre-Motion offers a Total Solution for car photography: a complete photo box in your building. 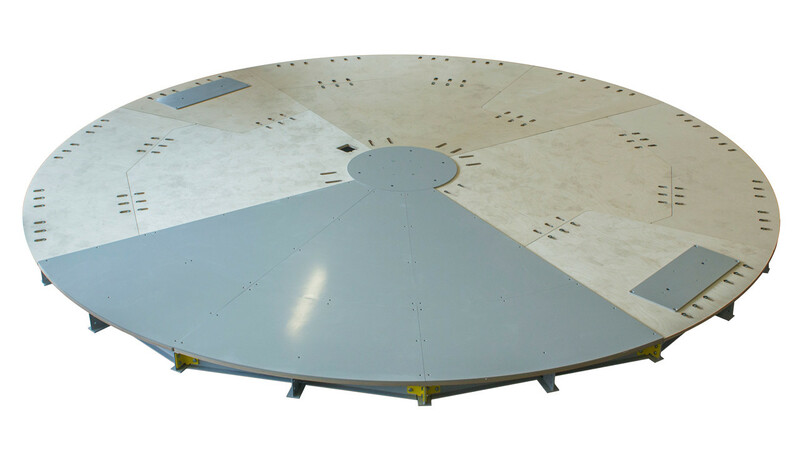 We start at the base: a solid turntable with smart controls. This complete photo studio comes with sturdy walls with rounded corner, a curtain or speed roll door and the turntable control best fitting your photography process. Depending on your budget, you can choose extra options to further optimize your photography results. 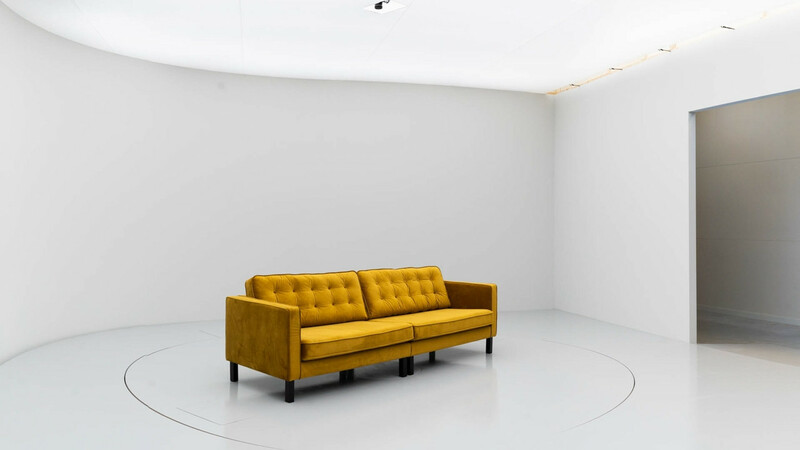 Is the complete photo studio perfect for you? Since 2011 Pre-Motion has been gaining experience with (turntables for) car photography. 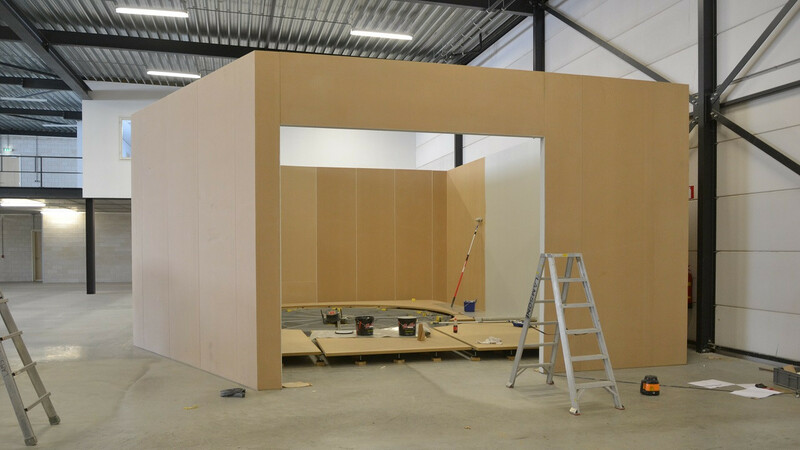 We find that in addition to a partial solution, where the customer takes care of finishing construction of the photo space themselves, there is also a demand for a complete solution. 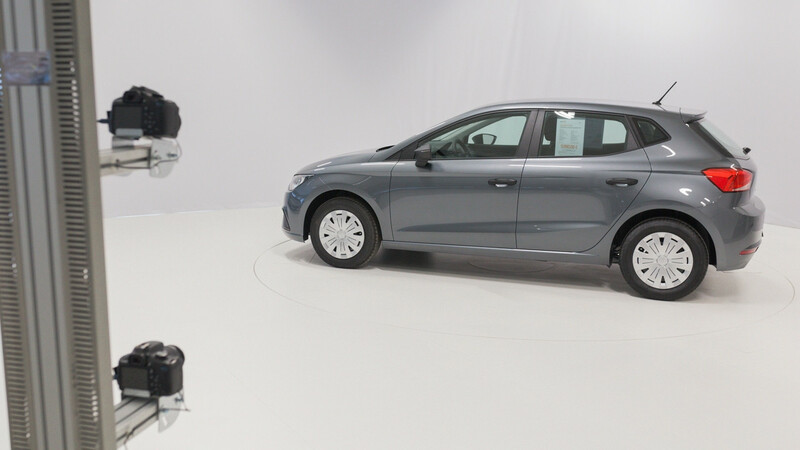 Our Total Solution is perfect for creating 360° and 3D car presentations as an end result. A photo box greatly simplifies lighting optimization. Furthermore, with this Total Solution you’ll get a complete photo studio right away, that will enable you to create professional photos and videos fast for years to come. But a full-blown ready-made photo studio isn’t suitable or affordable for everyone. What’s the perfect photo space for you, depends on your requirements and wishes, and how frequently you take photos. 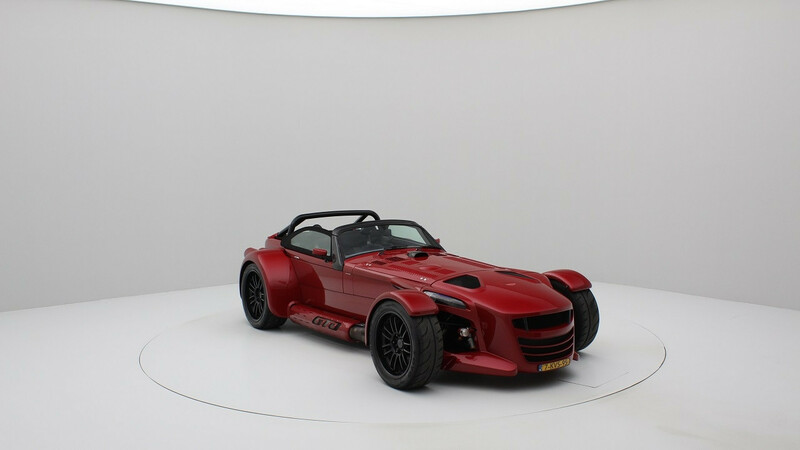 Also consider the end product: are you looking for good basic car photos, photo series from various angles or perhaps even a complete 3D experience? 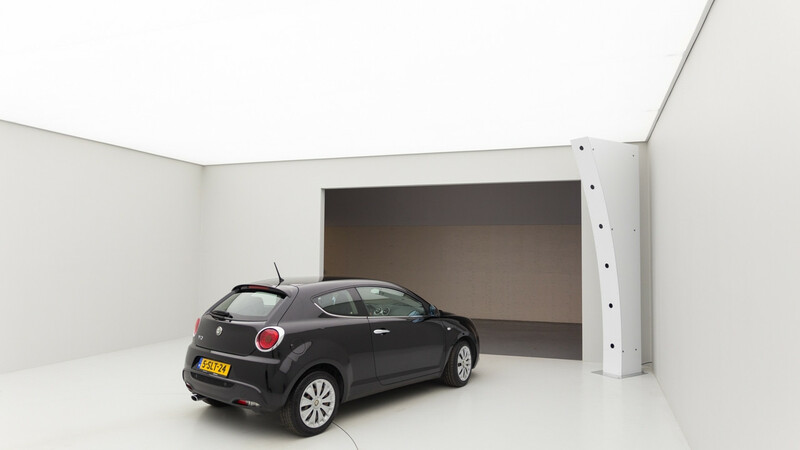 And what are your requirements when it comes to lighting in your photo space, for instance? 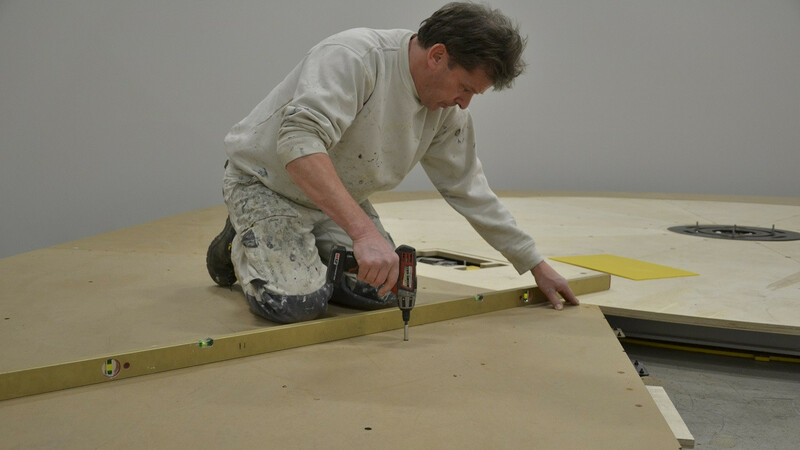 You’ll find many expensive solutions on the market; after all, with a huge budget, product development is simple. It’s all about striking the right balance. 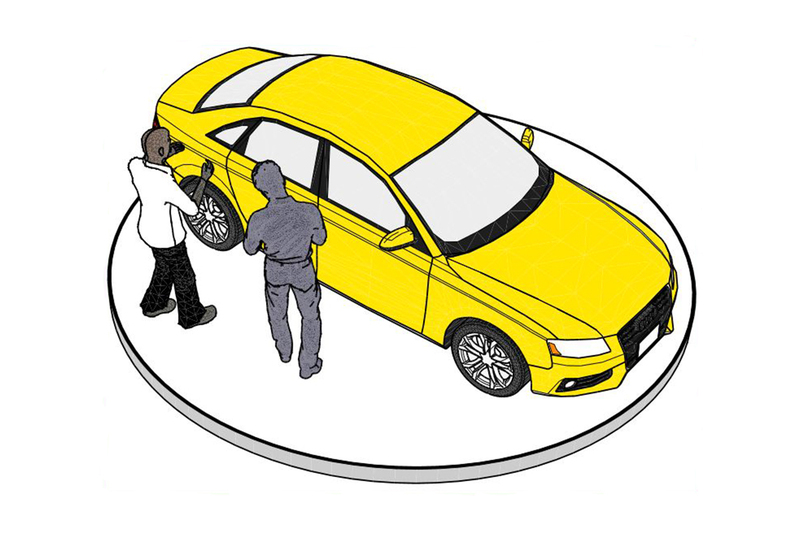 Still, our Total Solution requires a considerable investment from companies in the automotive industry. Are you looking for a cheaper solution to realize a photo corner in your building? 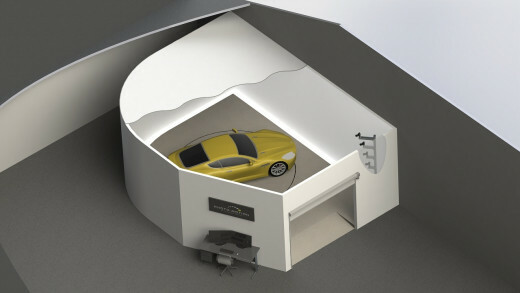 Check out our Top Solution: a turntable including a car-bearing floor and optional photo walls. Do you only need a turntable? Choose our Basic Solution. Read more about earning back the turntable investment. 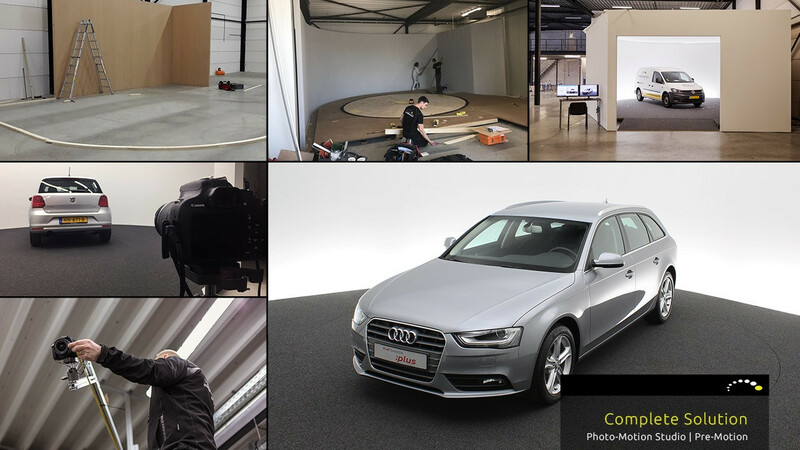 Do you have questions about a complete photo studio for car photography? Feel free to contact Pre-Motion’s turntable expert. Don’t forget to read our tips & tricks for car photography! We’ll install the complete photo studio in your space on the pre-arranged day(s). Lighting will be optimized and cameras properly set up. Start taking photos! And rest assured you’re ready for future developments. In the future you can, if so desired, upgrade your photo studio with extra options. 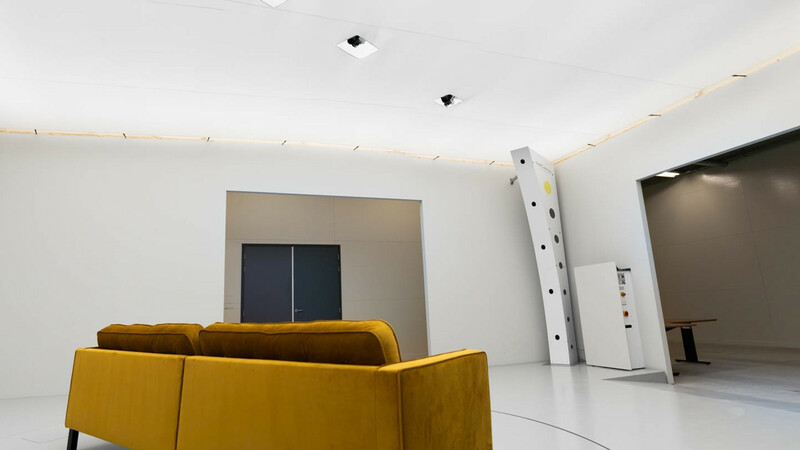 We sturen u de brochure van 360° photo studio with turntable | Total Solution toe zodra u onderstaand formulier invult. We nemen over een week per mail contact op om te kijken of we u verder kunnen helpen.